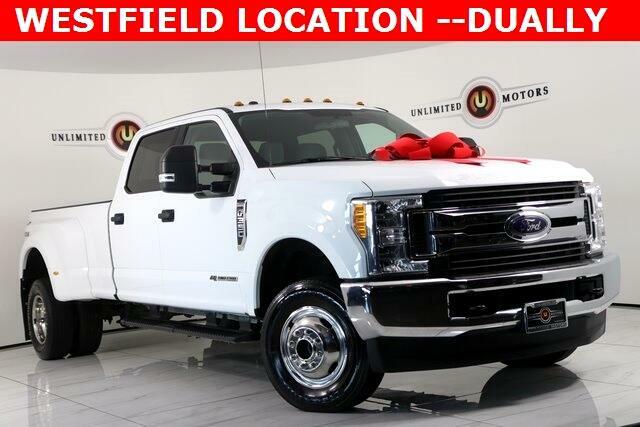 Bluetooth, Towing, Running Boards, DRW, DUALLY, F-350 SuperDuty XLT DRW, 4D Crew Cab, Power Stroke 6.7L V8 DI 32V OHV Turbodiesel, TorqShift 6-Speed Automatic, 4WD, ABS brakes, Compass, Emergency communication system, Heated door mirrors, Illuminated entry, Low tire pressure warning, Remote keyless entry, Traction control. CARFAX One-Owner. Clean CARFAX.